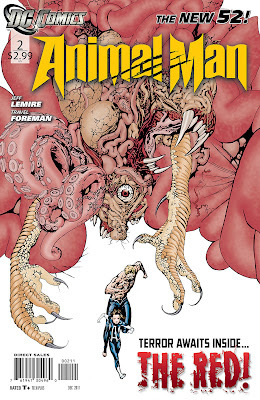 Jeff Lemire's Blog: Out Today ANIMAL MAN #2! Out Today ANIMAL MAN #2! Animal Man #2 (as well as a 2nd Printing of the sold out #1) is out today and MAXIM.com has an exclusive preview.